Oh, so pretty! 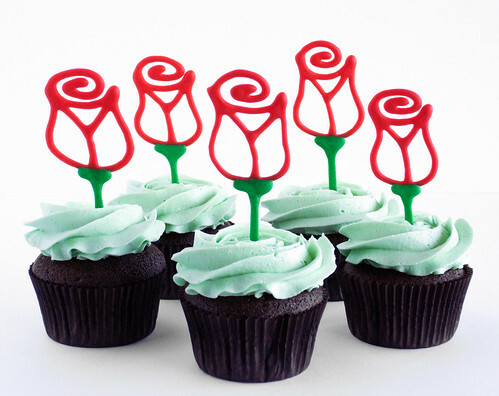 The roses are made from icing made of powdered sugar, milk, corn syrup and a little lemon juice. The link is from the site, I Feel Cook. It is in Spanish, but use the translation for instruction on how to make the roses. These cupcakes are really cool. Love the toppers! love the cupcakes. they look great and delicious. if you do please follow and I will advertise your blog on mine. please do!